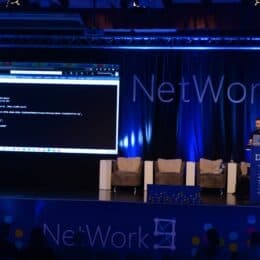 Today, I am happy to announce that I will be speaking at the Microsoft NetWork 9 conference in Bosnia again. The Microsoft NetWork 9 conference will take place from March 27-29 in Neum, Bosnia. I will present two sessions focusing on the Microsoft Hybrid Cloud and Azure. This will be my second time at this conference, after speaking in 2016. Mastering Azure using Cloud Shell! Join this session for the best of Windows Server 2019, about the new innovation and improvements of Windows Server and Windows Admin Center. 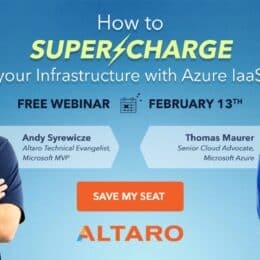 Learn how Microsoft enhances the SDDC feature like Hyper-V, Storage and Networking and get the most out of the new Azure Hybrid Cloud Integration and Container features. 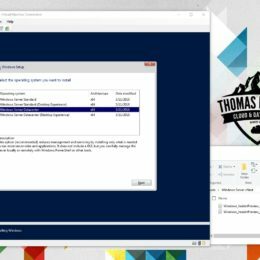 You’ll get an overview about the new, exciting improvements that are in Windows Server and how they’ll improve your day-to-day job. I remember it is great event, with a great community and a lot of interesting sessions. I am looking forward to the event and hope to see you at Microsoft NetWork 9! If you want to learn more about Windows Server 2019 and Azure CloudShell, check out my blog. Since I am just setting up a new work machine, I wanted to share some information how you can update PowerShellGet and PackageManagement to the latest version. 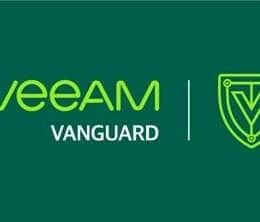 This will give you the usual bug fixes and performance enhancements. 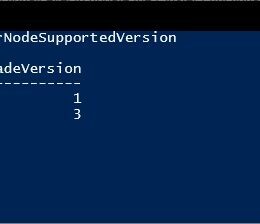 Since you don’t get the latest version in Windows PowerShell nor PowerShell Core, you will need to update it manually. 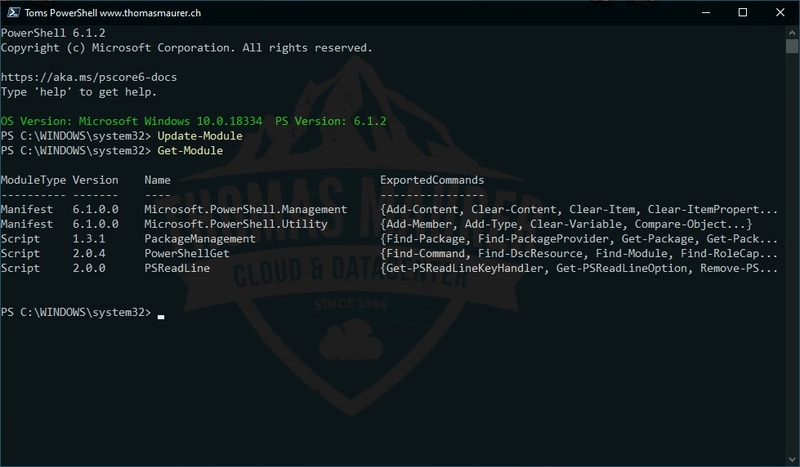 PowerShellGet is a PowerShell module with commands for discovering, installing, updating and publishing the PowerShell artifacts like Modules, DSC Resources, Role Capabilities and Scripts. For example you use PowerShellGet to install the Azure PowerShell module, or other modules. 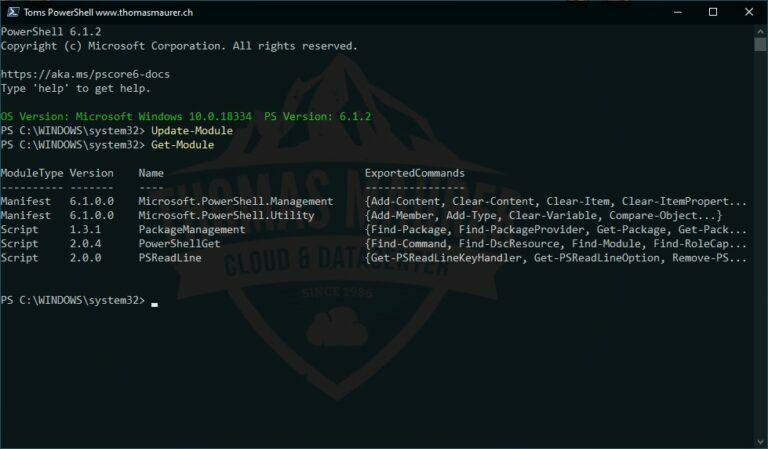 PowerShellGet module is also integrated with the PackageManagement module as a provider, users can also use the PowerShell PackageManagement cmdlets for discovering, installing and updating the PowerShell artifacts like Modules and Scripts. Updating to the latest version of PowerShellGet and the PackageManagement module is simple. 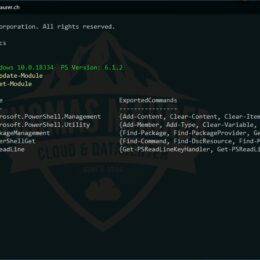 Since both modules are part of the PowerShell Gallery, you can update them using a couple of simple commands. First lets check which versions of the modules you have available. If you use Update-Module, it will automatically load PowerShellGet and PackageManagement and list them as loaded PowerShell modules. Of course you can also use Get-Module -ListAvailable. As you can see, In my default installation, I got PowerShellGet version 1.6.7 and PackageManagement 1.1.7.2. If you have a look at PSGallery, you will see that these are pretty old versions and that there are newer available. To get the latest version from PowerShell Gallery, you should first install the latest Nuget provider. You will need to run PowerShell as an Administrator for all the following commands. 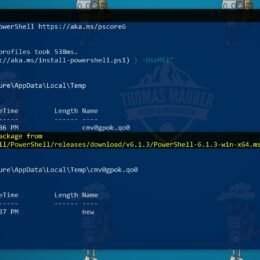 If you run PowerShell 5.0 or newer, you can install the latest PowerShellGet using the following command. PowerShell 5.0 is included in Windows 10, Windows Server 2016, Windows Server 2019, any system with WMF 5.0 and 5.1 or a system running PowerShell 6. Two quick tips, first of, you will need to set the execution policy to RemoteSigned to allow the new module to run. Secondly in some cases you will need to use the -AllowClobber parameter to install the updated version of the module. If you run older versions of PowerShell you can check out the full documention on the PowerShell Docs. I hope this blog post helps you to update PowerShellGet and benefit from the latest versions. If you have any questions, please let me know in the comments.